Welcome to Motran Industries, Inc.
Motran Industries, Inc. designs, develops, and manufactures a full range of feature-rich inertial, linear, and rotary force voice coil actuators. 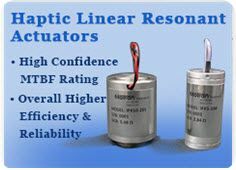 We also manufacture high-performance acoustic transducers and bi-stable actuators. With rapid developments in the fields of Active Noise and Vibration Control and motion control technology, Motran’s electromagnetic products are finding new applications every day. High output, compact dimensions, and cost-effectiveness are the key attributes of our motion control products. Where other actuator technologies fail to meet the expected performance or cost brackets, our voice coil actuators often surpass user expectations. The high output force to size relationship is the key reason our voice coil actuators are preferred in an increasing number of applications. Motran’s expertise lies in custom solutions to meet the most demanding applications. Whether it is a first-to-market product or a refurbishment of an existing process, our sales and technical team can work closely with you to develop the most appropriate motion control solution. We are among the foremost firms involved in the design, development, and manufacture of linear actuators for active vibration control.Our design and engineering team can manufacture any product that we are able to prototype.